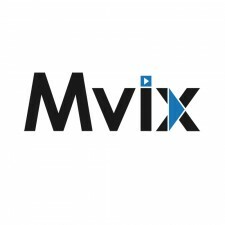 Sterling, VA, June 9, 2017	(Newswire.com) - Mvix, a leading provider of content-rich digital signage solutions, announced today that they will be exhibiting at the InfoComm 2017 trade show. The event, taking place at the Orange County Convention Center in Orlando, FL (June 14-16), is the largest commercial AV trade show in North America. At booth #781, Mvix will be showcasing XhibitSignage, their content-rich digital signage software that won the 2017 DIGI Award for Best Digital Signage Software. The company will also display their video wall solutions as well as their content creation suite for digital signage projects. With over 10 years of innovation and thousands of locations deployed, Mvix is transforming the very industry in which it operates. They were one of the earliest developers of software that takes a content-first approach — embedded apps and widgets simplify dynamic content creation, and robust management features streamline workflows to elevate digital experiences, provide unlimited scalability and reduce the cost of deployment. InfoComm has a substantial digital signage education component this year, built primarily around the idea of the big digital canvas. Sponsored by Mvix, the Digital Signage Summit includes seminars, conferences, and workshops on how near-seamless video walls, ultra fine-pitch indoor LED displays, and advances in projection mapping technology are making it possible to turn substantial private and public spaces into big digital canvases. The education sessions will also look at the ideas and executions of some iconic digital signage projects and draw actionable best practices. We're excited to be able to meet face-to-face with our partners and customers in the InfoComm community. We're also very proud to support InfoComm's continued efforts to provide a forum where integrators, AV professionals, and service providers can educate themselves on potential industry opportunities, learn about new products and channel programs, and network with their peers and vendors. Mvix’s session, Out of the Fire and into the Project: Growing Profits with Digital Signage, will answer key questions for integrators and service providers trying to break into the digital signage business. Presented together with leading industry analyst Dave Haynes of The Preset Group on Thursday, June 15th, at 2:30 p.m. at the new Center Stage, the session will reinforce the idea of selling digital signage as a service. “We’re excited to be able to meet face-to-face with our partners and customers in the InfoComm community,” said Mike Kilian, Mvix’s Senior Director of Business Development. “We’re also very proud to support InfoComm’s continued efforts to provide a forum where integrators, AV professionals, and service providers can educate themselves on potential industry opportunities, learn about new products and channel programs, and network with their peers and vendors,” he added. For a complimentary InfoComm VIP pass, please contact us.